Isco put the champions ahead in the 12 minute but goals from Cristhian Stuani and Portu turned the game on its head. Spanish outlet Diario Gol report Ronaldo thinks Zidane’s tactics are becoming predictable for opponents to play against. The Portuguese wants the French manager to learn from the defeat and is concerned the La Liga champions are now easy to work out. The reports also claim Real president Florentino Perez agrees with Ronaldo and his opinion on Zidane. And the bigwig has already made a shortlist of candidates who could replace him should results not improve. 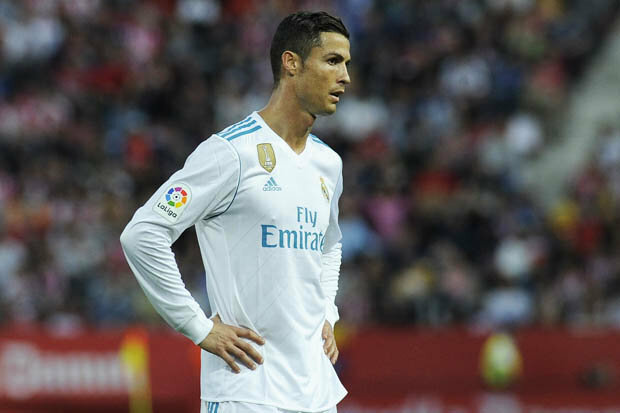 The defeat to Girona leaves Real Madrid a massive eight points behind rivals Barcelona after 10 matches in the top flight. And Zidane will know he is under pressure to get results quickly. That starts on Wednesday when Real take on Tottenham at Wembley in the Champions League. After the defeat to Girona, Zidane said: “We did well in the first half but football is about details and the first goal was from a throw in and we weren't focused. "I don't think we played badly, we didn't lack intensity or effort, we just lost focus at the most important moments and that's why I'm annoyed. "We're eight points behind but it won't change anything, we can pick ourselves up, we'll have better days than this and our rivals are going to drop points." Lol That's Penaldo for you pointing Fingers at others people when things are not good....If Zinedine Zidane keeps on fielding off form players like Penaldo and Benzema he will kiss his job and say goodbye.